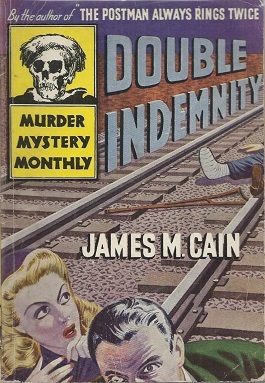 Author James M. Cain wrote Double Indemnity for money. Insurance agent Walter Huff killed a man for money…. and a woman. Despite the self-serving motivations, both of these acts would be remembered in history. Look up the best crime novels of all time and you will find this 115 page novel in the top ten every time. Why? In my mind there are three reasons: The extreme precision in which the murder is enacted, the thrill of vicariously experiencing the immoral act and its emotional consequences, and feeling the suspense of how things still might not work out for Walter. It has some issues. You have to buy into the seducing power of the femme fatal, some might feel like things line up too perfectly, and the end is extremely controversial (though I liked it). But In the end this is a great crime novel. If you are looking to read one, this, despite any complaints, will at least keep your interest. Try it.